Genevieve is a former intern from the dive department. She joined Aquarium divers in the Bahamas to help collect fish, under special permits, so that visitors in Boston can appreciate the splendor of a healthy Caribbean reef. After a top-to-bottom transformation, the Giant Ocean Tank is expected to reopen in early summer with more than twice the number of fish than last fall. Unfortunately, the weather turned for the worse on the fifth day of collecting. We managed to get three dives in, two at a new sight, Packet Reef. 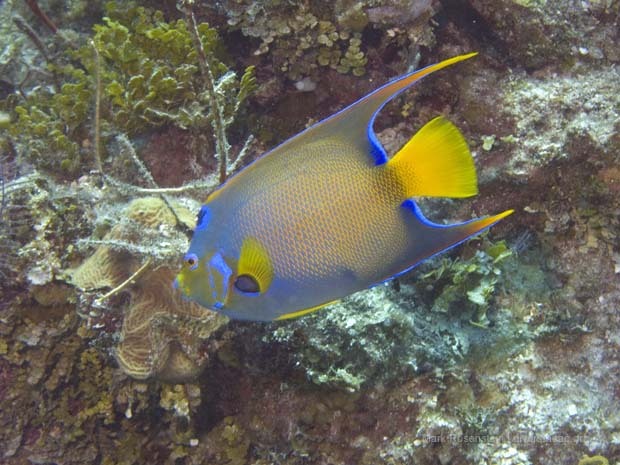 We caught two queen angelfish on these dives. Angels are awed at in the GOT because they are big and beautiful fish with an intriguing shape. Queens are my personal favorites because of their colors: a mix of yellow and blue. 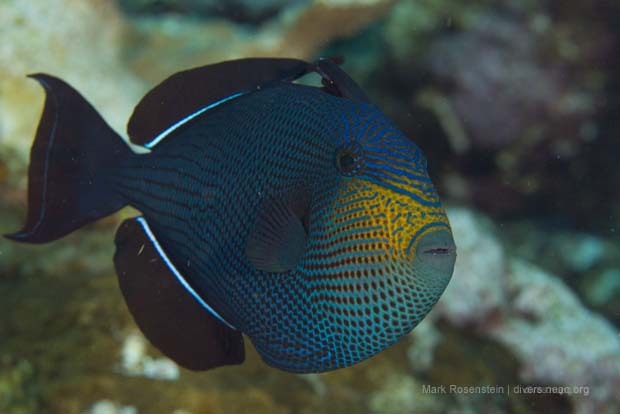 Another favorite are black durgons, which are hard to catch, since they swim off the reef and higher in the water column. Pete, a west wing staff member, managed to collect one of these guys, gaining much praise from the rest of the crew. 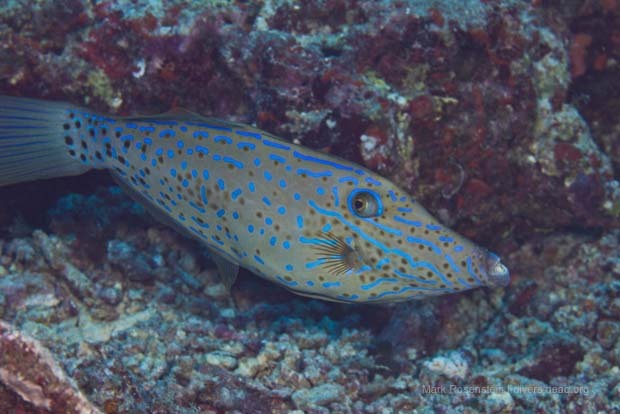 For the third dive, we returned to the Sapona, where Pete showed off his expertise once more, and returned to the boat with a scrawled filefish. Scrawled files are rare sights amongst these reefs, making them all the more special in the GOT. Everything about them is interesting- their strange shape, light blue pattern, and friendly behavior. By showing visitors the beauty of a healthy Caribbean reef, we hope to inspire people to do what they can to protect these reefs and marine habitats around the world. Thanks to Mark Rosenstein for sharing his beautiful pictures! 6: Bahamas 2013 | A splashing success!